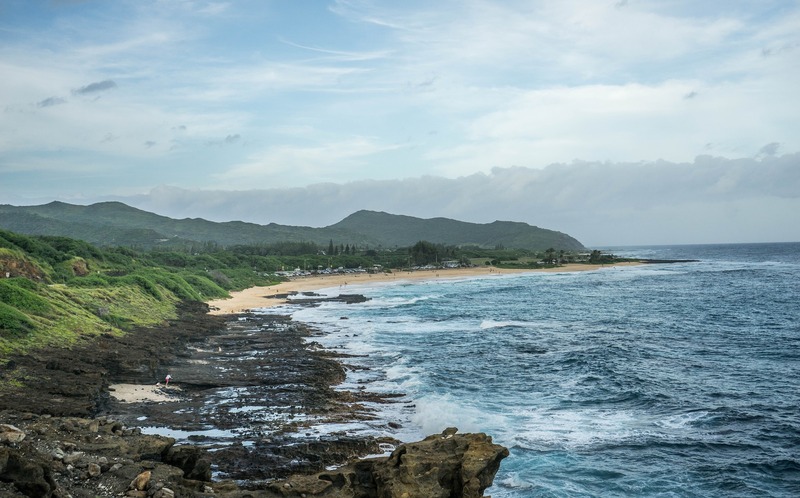 December Weather in Hawaii – Dis and Dat! The month of December is characterized by gradually falling daily high temperatures, with daily highs around 81°Fthroughout the month, exceeding 85°F or dropping below 77°F only one day in ten. Daily low temperatures are around 69°F, falling below 62°For exceeding 74°F only one day in ten. You should note that you MAY need more than a shortie nightgown during December in Hawaii, as temperatures are quite “chilly” at night during December. Also, note that December is during our rainy season, and rain will cool-down the air quite quickly. Over the course of December, the length of the day is essentially constant. The shortest day of the month is December 20 with 10:50 hours of daylight; the longest day is December 1 with 10:55 hours of daylight. The latest sunrise is around 7:10am on December 31; the earliest sunset is around 5:49pm on December 1. Most days in December still feature a fair amount of sunshine, but be prepared for lots of clouds, too. The median cloud cover is 51% (partly cloudy) and does not vary substantially over the course of the month. On December 16, a representative day, the sky is clear or mostly clear 31% of the time, partly cloudy 34% of the time, and mostly cloudy or overcast 35% of the time. The average probability that some form of precipitation will be observed in a given day is 41%>, with little variation over the course of the month. Throughout December, the most common forms of precipitation are light rain and moderate rain. Light rain is the most severe precipitation observed during 62% of those days with precipitation. It is most likely around December 3, when it is observed during 27% of all days. Moderate rain is the most severe precipitation observed during 26% of those days with precipitation. It is most likely around December 31, when it is observed during 11% of all days. The relative humidity typically ranges from 56% (mildly humid) to 88%(very humid) over the course of a typical December, rarely dropping below 47% (comfortable) and reaching as high as 97%(very humid). It is most humid around December 31, rising above 84% (humid) three days out of four. Over the course of a typical December, the dew point typically varies from 61°F(comfortable) to 68°F(muggy) and is rarely below 56°F (comfortable) or above 72°F(very muggy). 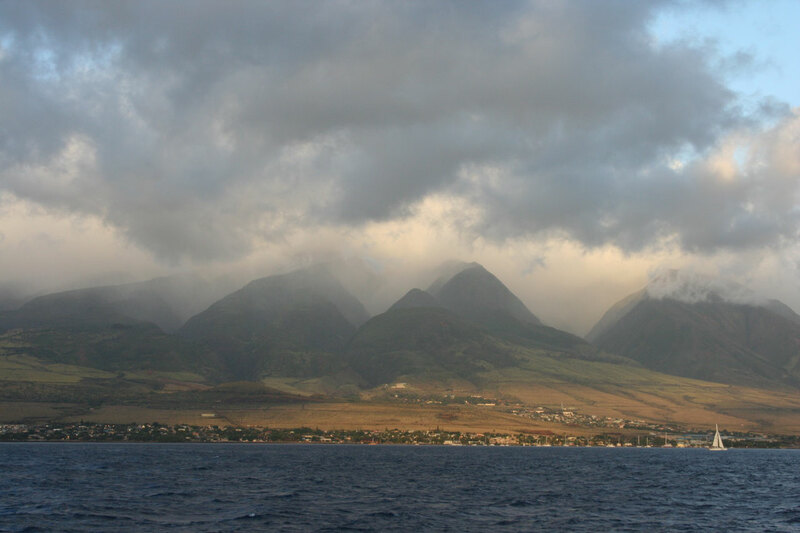 Winter days in the islands are typically a mixed bag of sun and mauka showers. Over the course of December typical wind speeds vary from 0 mph to 17 mph (calm to moderate breeze), rarely exceeding 23 mph (fresh breeze). The highest average wind speed of 10 mph(gentle breeze) occurs around December 3, at which time the average daily maximum wind speed is 17 mph (moderate breeze). The lowest average wind speed of 9 mph(gentle breeze) occurs around December 31, at which time the average daily maximum wind speed is 15 mph(moderate breeze). The wind is most often out of the north east 43% of the time and east 26% of the time. The wind is least often out of the west 2% of the time, south east 3% of the time, south west 3% of the time, and south 4% of the time. Of course, these conditions are just AVERAGES, meaning the weather during December in Hawaii could be substantially different, depending on the current microclimate. And, make sure you book your Hawaii activities with a reputable company, such as Hawaii Aloha Travel. The tour professionals there will make sure they inform you of any cancellations/delays in your activity due to inclement weather.